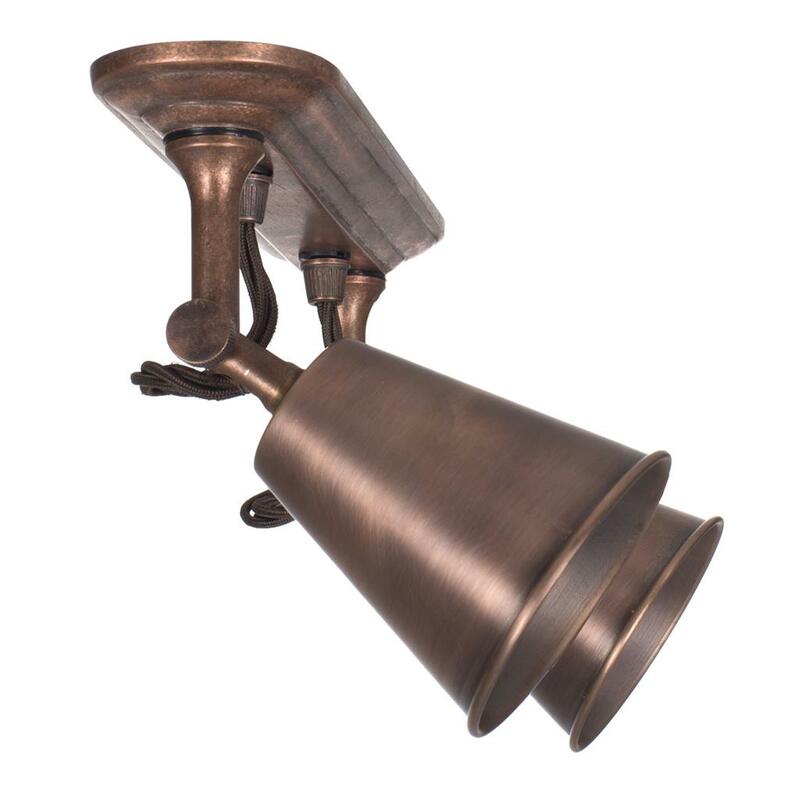 A traditionally styled, hand crafted, double spotlight track, our Double Curtis combines the practicality of a spotlight with the beauty of our Club Wall Light, with which it shares a similarly shaped shade. 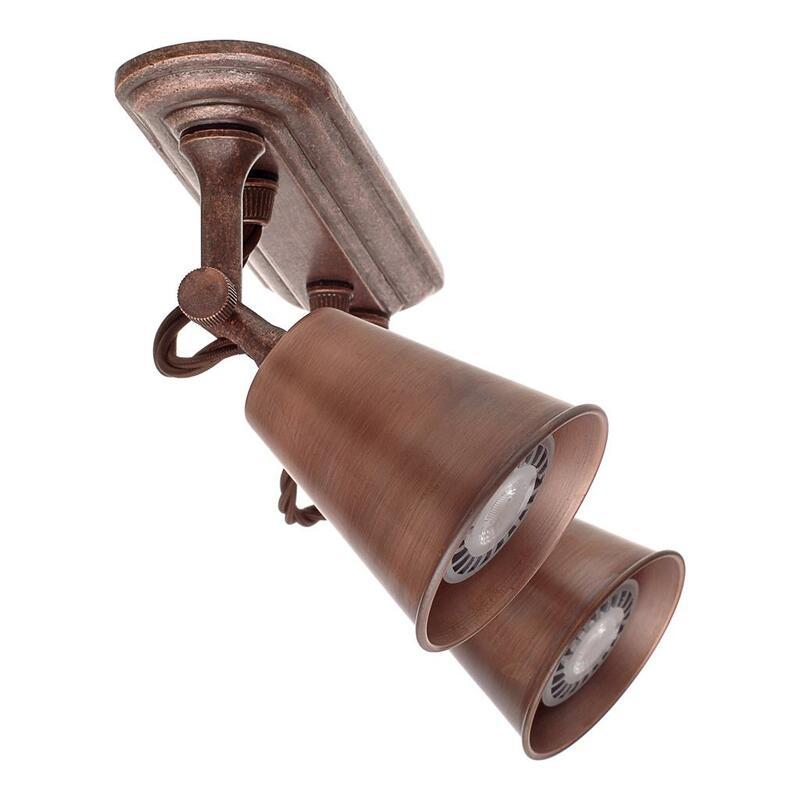 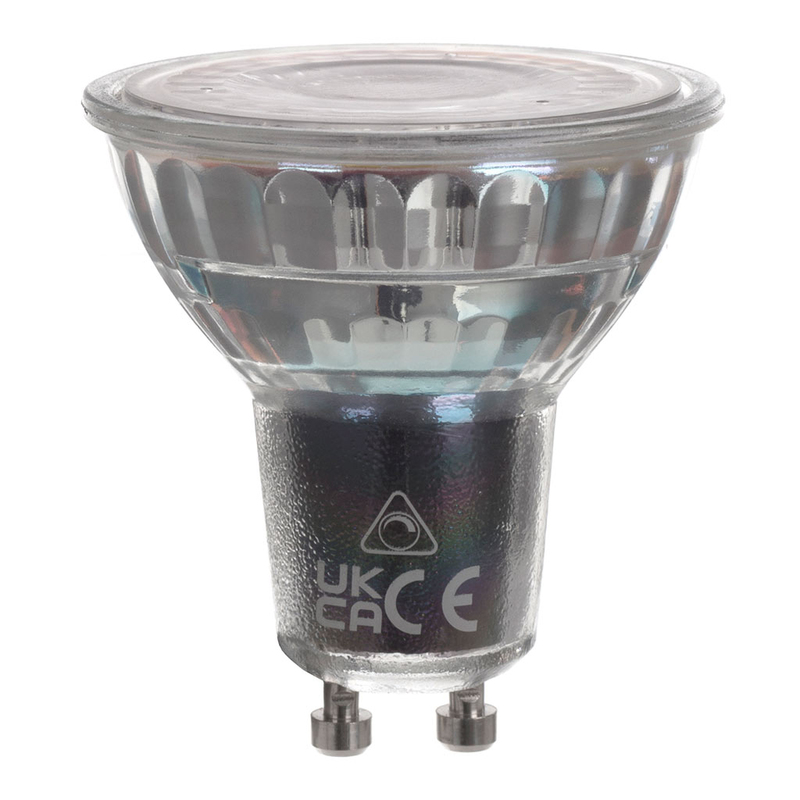 The Double Curtis is ideally suited as a downlighter for your kitchen, bedroom or living room. It’s pretty spun shades, raised edges and visible braided cable, gives it a retro feel that would suit a contemporary home as much as it would a period one. 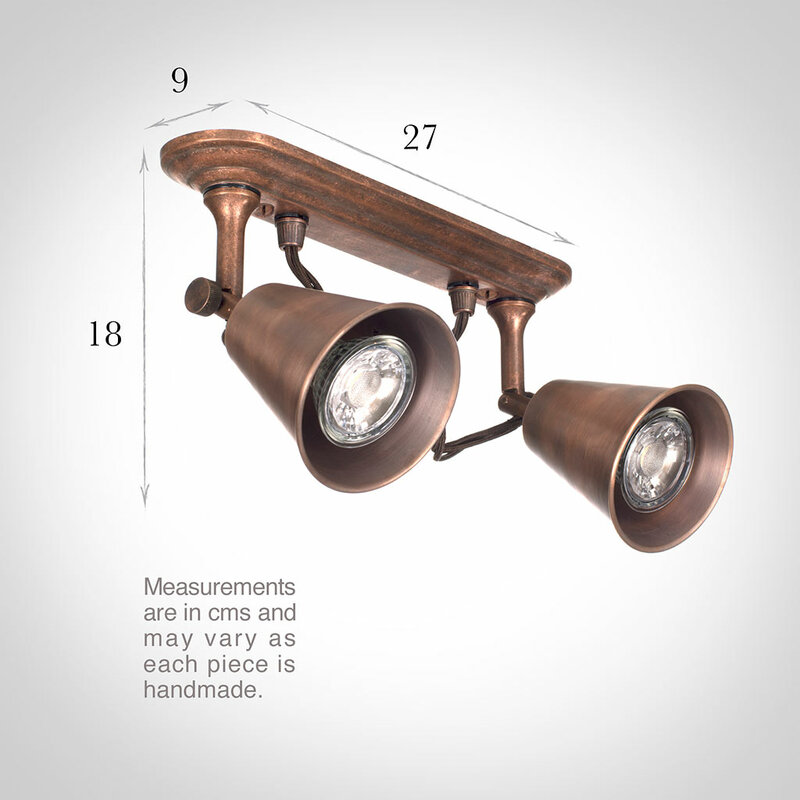 The Double Curtis is scaled to work in a small space as well as a large one and features shade heads that can be angled through 45 degrees. 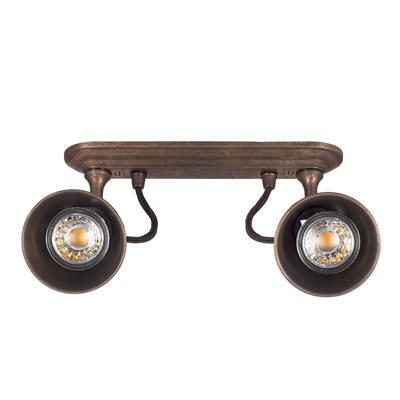 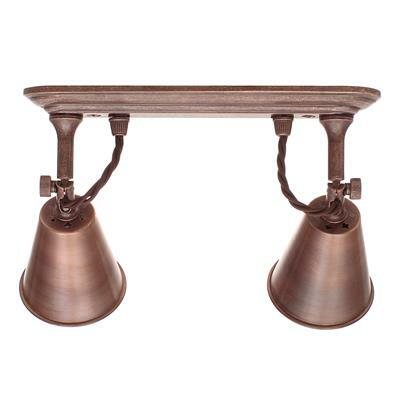 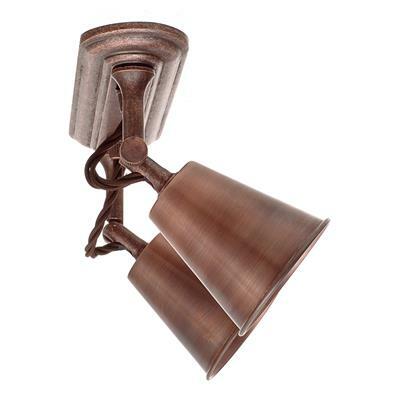 Shown above in our lightly Antiqued Brass finish, it is dimmable if used with a dimmable GU 10 bulb and dimmer switch and is available as a single spot version. Heritage Copper: Created by our team of craftsmen who hand finish each solid copper piece with an antiquing solution to accelerate the natural tarnishing process and created a lovely aged look that will darken over time. This produces a beautifully soft heritage finish suitable for indoor and outdoor use. 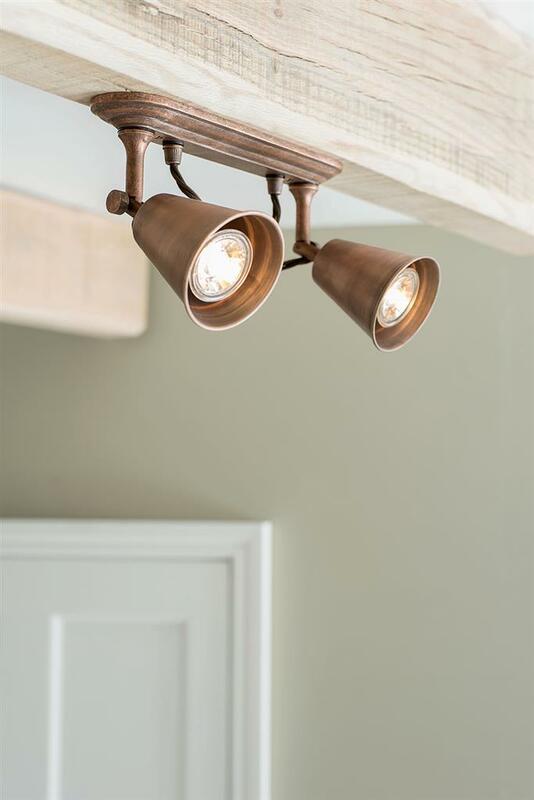 To find out more about our finishes and how best to maintain them, please read our product finish pages. 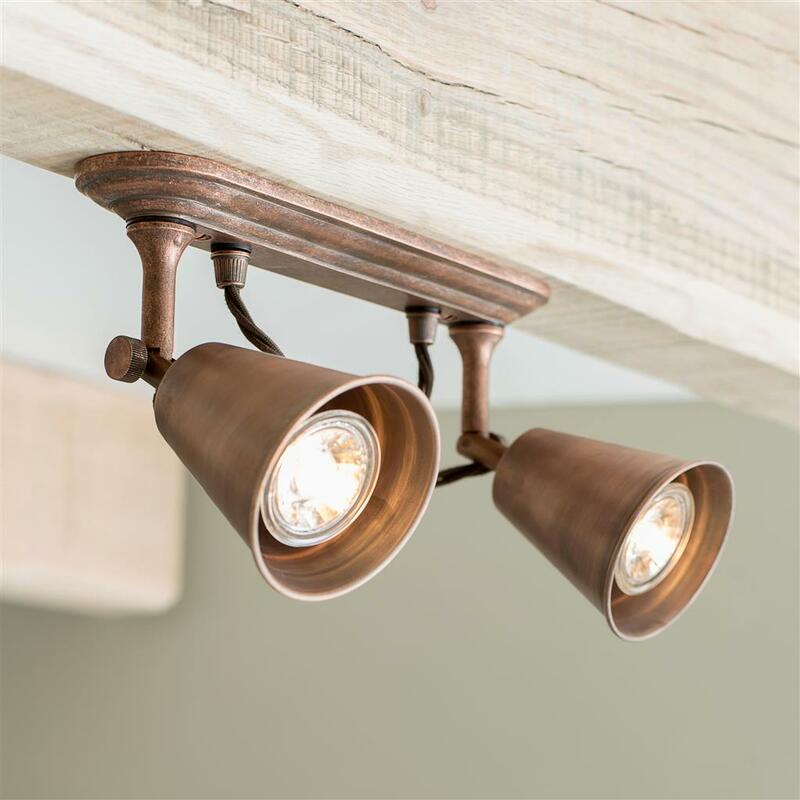 Hung above your kitchen units to give tasking light where needed. 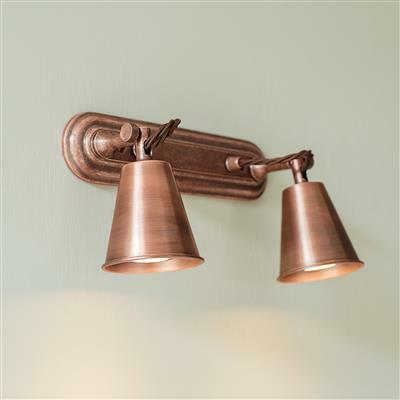 On a chimney breast or above your Aga or range of you have a country style kitchen. The Double Curtis is also available as an equally charming single spotlight in the same finish.